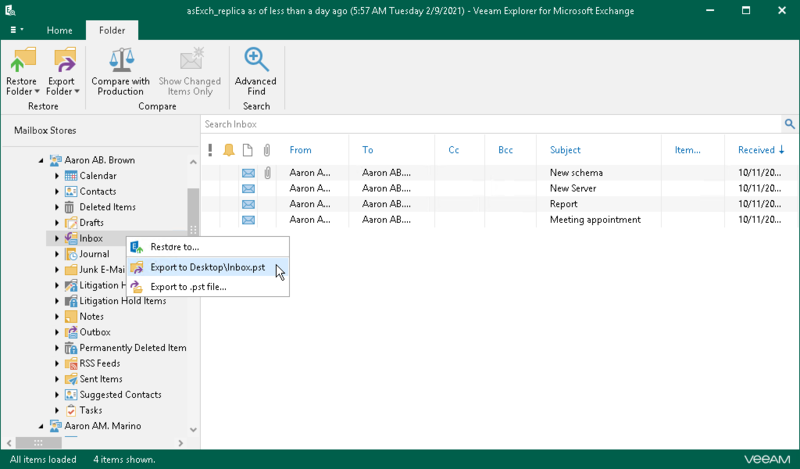 Veeam Explorer for Microsoft Exchange allows you to quickly export mailbox store data as .pst files. 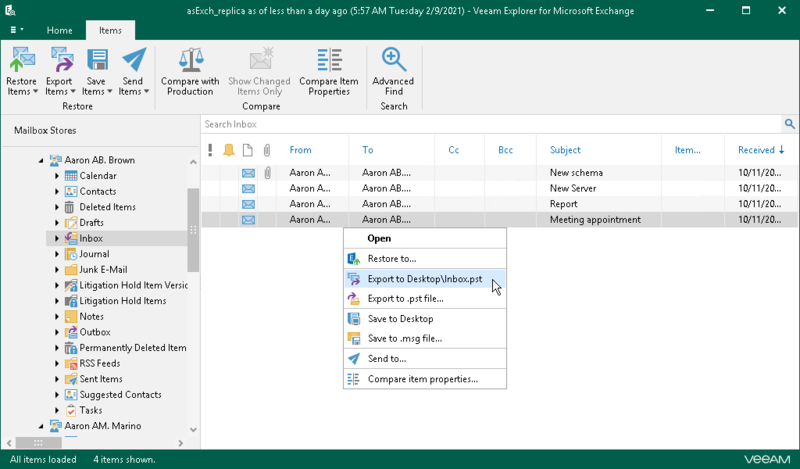 Export operations require Microsoft Outlook to be installed on a computer running Veeam Explorer for Microsoft Exchange. To export a folder, select it in the navigation pane and on the Folder tab, click Export Folder > Export to <default_location>\<original_folder_name>.pst or use the corresponding context menu command. To export an item, select it in the navigation pane and on the Items tab, click Export Items > Export to <default_location>\<original_folder_name>.pst or use the corresponding context menu command. 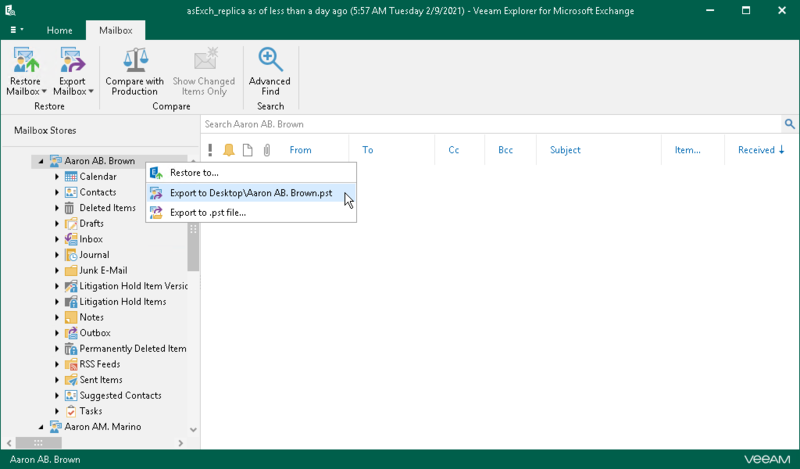 To export a mailbox, select it in the navigation pane and on the Mailbox tab, click Export mailbox > Export to <default_location>\<original_mailbox_name>.pst or use the corresponding context menu command. 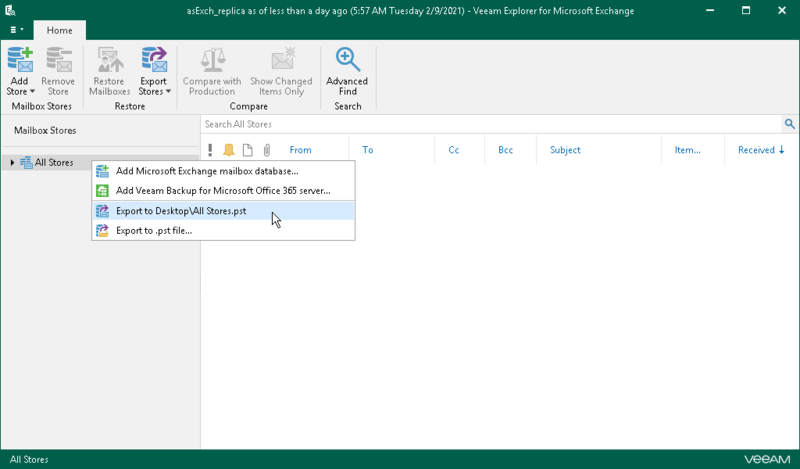 To export a mailbox store or all stores added to the scope, select a store or select the All Stores node and click Export on the Home tab.